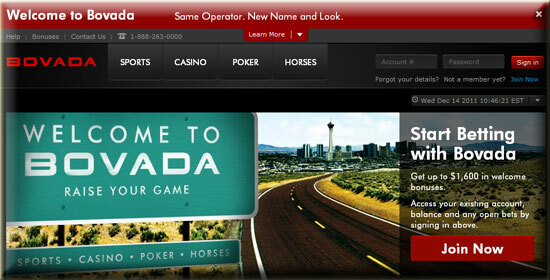 Today Bodog announced all US players will be moved from Bodog to a new brand called – BOVADA. They claim the only difference will be the name, same software and same payment processors. Techinically Bodog is licensing it out to Morris Mohawk Gaming Group (MMGG) which runs the Bodog software and operations. The reason for this? Bodog is trying to distance themselves and separate themselves from US gambling. If Bodog remained open to US players, they would jeopardize their new UK gaming license. The solution was to just create a new name and presto – Bodog no longer services US gamblers. You can see the Bodog press release today that states Bodog no longer accepts US players. Bodog.eu will remain open to players worldwide (except US). Bovada.lv will be open Dec 14, 2011 at 11am EST, so we’ll check it out and report back the differences. Update – Just add our Bovada Poker Review to the main site.